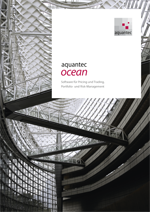 Aquantec AG is a specialist in the area of software and quantitative development for the financial industry. Our interdisciplinary team of software architects and developers, business analysts and financial mathematicians understands both the business and the software. We combine expertise, experience, and creativity with a strong focus on the essentials. Since 2009, Aquantec offers integrated solutions for pricing and trading as well as portfolio and risk management to financial institutions, service providers, and corporate treasurers. Through strategic cooperation with financial and IT service providers, Aquantec gears its product development to current market requirements and can offer the full range of services from consulting to implementation and from licensing to support.